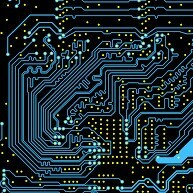 Quite often a printed circuit board (PCB) design will contain both an analog section and a digital section. The analog section typically conditions a signal for digitization and the digital section converts the analog signal to a digital one and then acts on the now digital domain signal. Segregating these two blocks of a PCB design is very important to insuring the integrity of the analogue circuity. Analogue circuits are typically highly susceptible to noise signals and digital circuits are typically very electrically noisy. This article will try to shed a light on some general rules to avoid mixed signal layout issues and discuss the best approach to isolating your analog circuit portion from its digital counter-part.